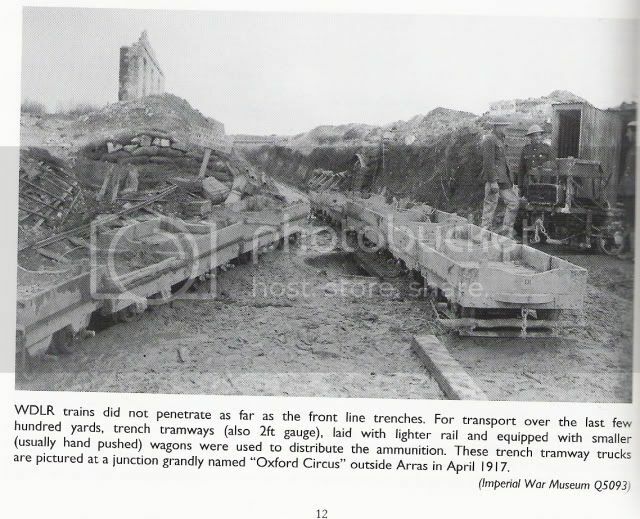 Following some interesting posts in "Modelling Matters" about trench railways and the 1914-18 war, I thought it might be an idea to start a thread here. Although most trench railways were 2ft (or metric equivalent) gauge which would take them outside the realm of 15 inch prototypes, there were some references to smaller gauges being used in tunnelling. So to kick things off - my interest in this conflict has sort of rumbled under the surface for a number of years since finding my grandfather's service medals - the 1914 Star, British War Medal, and the Victory Medal - known colloquially as "Pip, Squeak, and Wilfred"! He served in the Royal Artillery on 18pdr field-guns on the Somme and latterly in Italy although I have no details of his experiences since he refused to discuss them. I was able to find LAST WEEK on-line copies of his military service record which shows when and where he joined up voluntarily in 1914, a couple of stays in hospital, and then his move to Italy - which I never knew about until I read the service record! Anyway, with the Moderator's permission I'll leave this thread open for any discussions on this subject. Last edited by KeithB on Sat Dec 06, 2008 5:08 am, edited 1 time in total. There are 4 figures and you would have to do a little work if you wanted them as rail crew or a loading crew but it is a start, there are also 4 german WW1 soldiers available on pg 7, you may also be able to use some of the figures from the French Prussian War, I have a history book called WW1 in colour and some of the troops still had that type of uniform, now the weapons might be out of date but if all the other countries were like Canada the weapons may have been 30yrs old! If you can find a source of figures but a struggling to find railway items in the same scale one option could be to model the early trench tramways that existed before the establisment of the WDLR. These used commandeered or improvised equipment. Not only are the wagons of a non WDLR type, but if you look closely you can see a turntable and to te extreme right some sort of I/C scooter. Maybe it was built by the troops like this one. 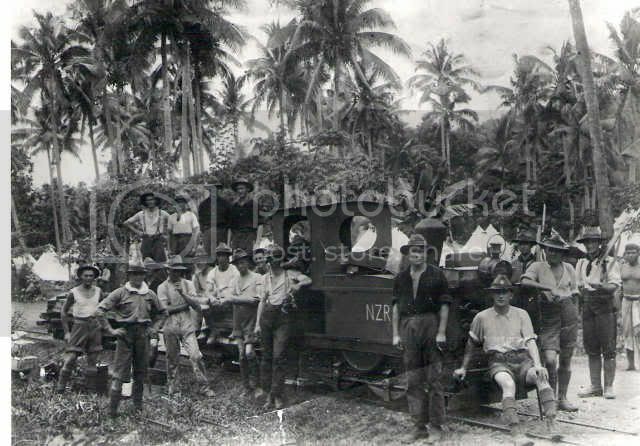 I'm sure I can also recall that DCRfan published an article on a German tramway in Samoa? that was seized by ANZAC troops? who then built a bogie loco based on a flat wagon? So another Idea maybe to look at a different theatre of conflict. This one. Existing feldbahn bogie wagon powered by engine and gearbox from harbour launch. 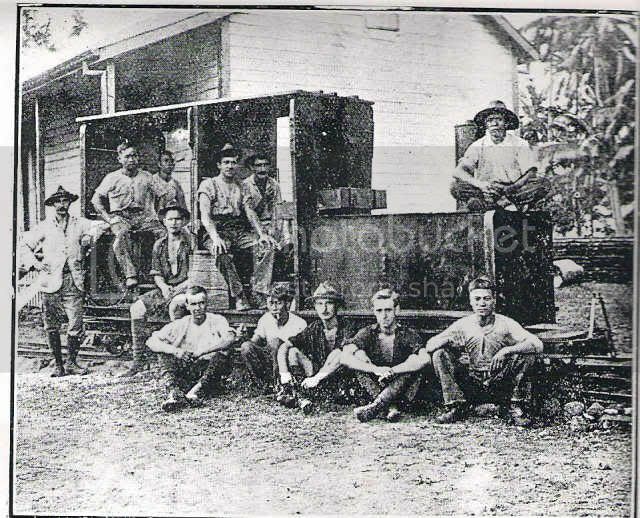 The people sitting around the loco are the Army Workshops team and the locally hired 'Coolies' who constructed the loco. With regard to modelling, I have had no real success in finding any sources of figures other than those mentioned in previous postings. If my project is to go ahead then I'll probably have to get some Scale Link figures as they seem to have the best range. There are quite a few that are non-combat which is good since the 2ft gauge lines rarely went near the trenches. What I *don't* need are the "man kneeling, firing" type of figures - more the "man kneeling, repairing Simplex"! on seaching google images I found another picture linked to this forum so checked out the thread again as its possibly relevant now. 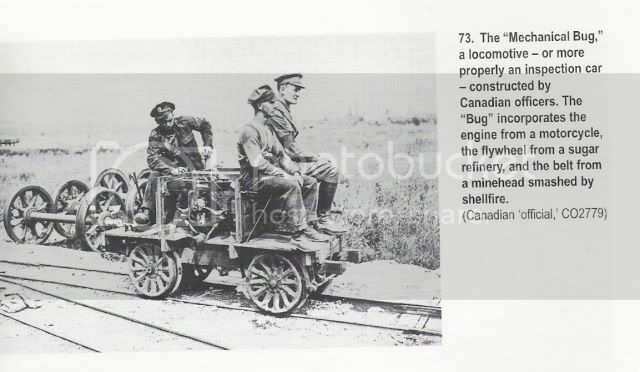 Would be interested in some dimensions for that Canadian motorized wagon.